Bedrock Vocabulary is a vocabulary curriculum which teaches vocabulary explicitly, whilst encouraging reading. We teach students the academic vocabulary they need to succeed in school. 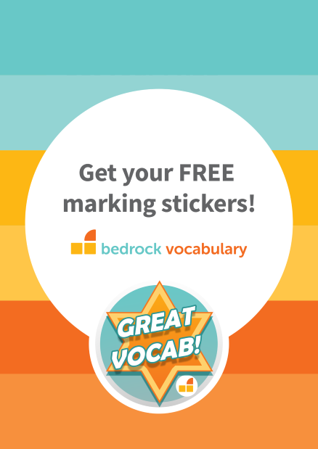 Bedrock Vocabulary is designed for students in KS2/KG2 up to KS4/Grade 10. There is a direct link between a pupil’s vocabulary size and their academic achievement. Narrow vocabularies affect pupils’ grades. Helping students to improve and widen their academic vocabularies is essential if standards and outcomes are to improve.